The metallic Racks are made to order as per the specific customer requirement at a competitive price. 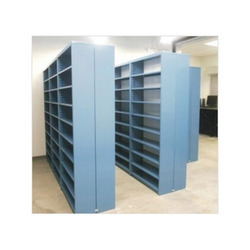 The Racks are made in various sizes and thickness. Finish can be Painted, Powder Coated OR Galvanized. We being one of the trusted names in the industry have brought forward Slotted Angle Racks for our treasured customers.The offered racks are designed precisely, with the application of premium quality materials and sophisticated technology. Owing to their perfect finish and high corrosion resistance, these racks are much appreciated by the customers. 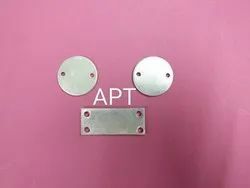 We have established ourselves as one of the prominent manufacturers and suppliers of Aluminum Tags in the industry. With their precise design and excellent finish, these tags are highly demanded by the customers. We make these tags available in several specifications to fulfill the exact requirements of the customers.